October 7, 2016 -- More than half of opioids prescribed following dental extractions -- estimated at 100 million pain pills annually in the U.S. -- are unused by patients after surgery, according to a recent study in Drug and Alcohol Dependence. The surplus is troubling given the ongoing opioid epidemic and evidence showing that people who abuse prescription opioids often use leftover pills prescribed for friends or family, University of Pennsylvania researchers said. Dental surgery is the first time that many young adults are exposed to opioid-containing drugs, according to the authors of the study. Surveys suggest that opioids prescribed by dentists may be a significant source of drug diversion or misuse, especially among adolescents and young adults (Drug Alcohol Depend, September 20, 2016). "Results of our study show within five days of surgery, most patients are experiencing relatively little pain, and yet, most still had well over half of their opioid prescription left," study co-author, Elliot Hersh, DMD, PhD, said in a statement. 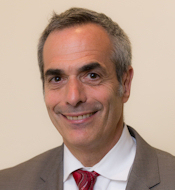 Dr. Hersh is a professor in the oral and maxillofacial surgery and pharmacology department at Penn Dental Medicine. Oral surgeons and general dentists prescribe an average of 20 opioid pills after tooth extraction, according to the current study. Hence, the researchers wanted to determine the patterns of opioid prescribing and consumption after dental surgery, focusing on the quantity of opioids left unused. Elliot Hersh, DMD, PhD, from Penn Dental Medicine. Dr. Hersh and colleagues examined prescription opioid use for 79 patients ages 18 and older who had surgical tooth extraction at a university-affiliated oral surgery practice between March and September 2015. They assessed opioid prescribing and consumption patterns and the amount of unused opioid pills that remained 21 days after oral surgery. The group also measured the effect of behavioral interventions on unused opioid disposal, focusing on informing patients of a pharmacy-based opioid disposal program. Most of the patients (74, 94%) received a prescription for an opioid-containing analgesic after the extraction. Of this group, 72 patients filled the prescription, and six of these patients (8%) received and filled another opioid prescription at a follow-up visit, resulting in a total of 78 prescriptions filled by study participants. Hydrocodone was the most commonly prescribed opioid (57 prescriptions, 73%) followed by oxycodone (16, 21%). Starting on the first day after surgery, data were collected on patients' pain levels and analgesic use through text messaging surveys that patients completed on web-enabled mobile devices. Surveys were delivered on postoperative days 1-7, 14, and 21, for a total of nine surveys. Follow-up phone interviews were also conducted after postoperative day 21 to gather data on participants' overall health, current use of opioids, satisfaction with postoperative pain management, and opioid disposal. A low pain score (0-3 out of 10) was reported by half of patients (37/70, 53%) the first day after surgery and by almost four-fifths of patients (58/73, 79%) five days after surgery. Most of the opioid pills prescribed to the 67 patients without dry socket were left unused 21 days after surgery (1,010, 54%), the researchers found. The percentage was similar for the five patients with dry socket (92, 50%). In addition, offering information on a drug disposal program was associated with a 22% increase in the proportion of patients who reported disposing or intending to dispose of unused opioids. Among the study's limitations is that the patient population was generally well-educated, which the authors noted may not reflect oral surgery patients across the U.S. or the analgesic prescribing practices of U.S. oral surgeons. In a phone interview with DrBicuspid.com, Dr. Hersh pointed out that more prescriptions for opioids come from family physicians than from dentists or oral surgeons. "We do have a problem, but it's not just dentists and oral surgeons," he said. "Family physicians are the No. 1 prescribers of immediate-relief opioids." Dr. Hersh also pointed out that patients who have third molar extractions, which often include bone removal, have more pain than regular extractions, and these patients need pain relief for three to five days. He added that most clinicians are now aware that nonsteroidal anti-inflammatory drugs (NSAIDs) like ibuprofen are sufficient for postsurgical pain. "Clinicians are taking heed of [other options]," he said. Dentists and oral surgeons typically prescribe opioids combined with acetaminophen, such as Tylenol with codeine No. 3, Vicodin, and Percocet, according to Dr. Hersh. Contrary to popular belief, two Advil (ibuprofen) tablets are more effective at relieving pain than a single Vicodin or Percocet, he noted. Most oral surgeons should prescribe 400 to 600 mg of ibuprofen plus 500-mg acetaminophen tablets such as Extra Strength Tylenol. "We strongly believe that combination has a significant opioid-sparing effect," he said. Essentially, there are too many opioids being prescribed: "You don't need opioids, or [you need] a lot less of them," Dr. Hersh said. It usually takes a while after the anesthesia from oral surgery has worn off for patients to need pain relief, he noted. "When patients get a prescription for an analgesic/pain reliever, they're still numb from local anesthesia," he said. "We don't know how much pain they'll have three to four hours later, so some oral surgeons are prescribing for the most severe outcome." Also, some oral surgeons who were trained in the 1980s or earlier were instructed to give drugs like Tylenol with codeine No. 3, Percocet, or Vicodin. "That's what they were trained on, that's their established prescribing behaviors, and those drugs work," Dr. Hersh said. "But my students at Penn know that nonsteroidal anti-inflammatory drugs are the initial drugs of choice for moderate dental pain; I drill that into their heads." Regarding 21-day prescriptions for opioids, he pointed out that patients usually need to take the pills every four to six hours for the first few days after oral surgery, not for 21 days. "After third molar surgery, 98% of patients won't get by with one Percocet or one Advil," Dr. Hersh said. "Most patients don't need more after three or four days." Also, many people don't like taking opioids because they often cause nausea, dizziness, and constipation, he said. "I want the primary analgesic to be ibuprofen or a related NSAID and the secondary pain reliever to be Vicodin or Percocet," Dr. Hersh concluded. "Maybe the magic number for prescriptions is probably 10 to 12 pills."